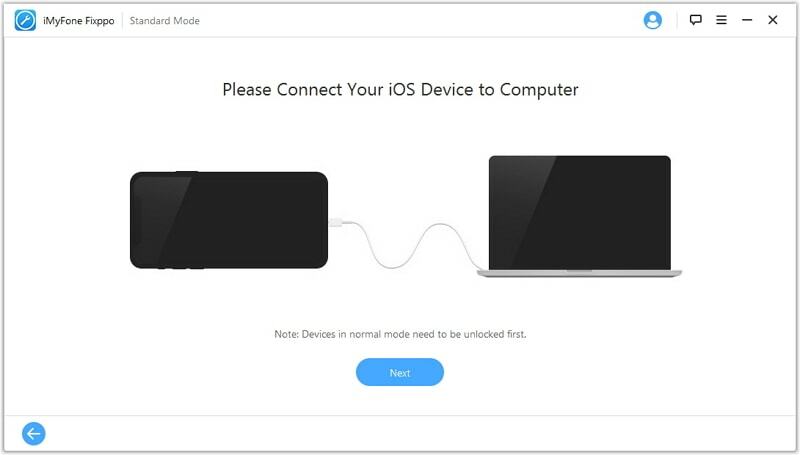 DFU mode, also known as Device Firmware Update is a useful function that allows your device to interact with iTunes without loading the OS. It is the ideal mode to choose when you want to downgrade or upgrade your version of iOS or you want to jailbreak the device. But there are times when your device can fail to exit DFU mode when you want it to. If this is the case, this article will offer you two effective solutions to help you recover the iPhone from DFU mode. When your device is fully functional and is not exhibiting any problems, exiting DFU mode is very easy. Here’s how to do it. Step 1: On the device, press the Home and Power/Sleep buttons at the same time for about 10 seconds until the Apple Logo Appears. 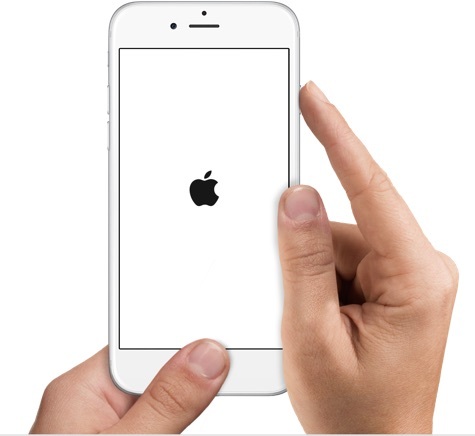 Step 2: Tap the home button and wait for the device to restart. It should have successfully exited DFU mode. Sometimes the method above can fail to work and you can find yourself in a situation where your device is stuck in DFU mode and hence unresponsive. In this case, you need a third-party tool that can help you fix the faulty iOS system and get the device to functionality. 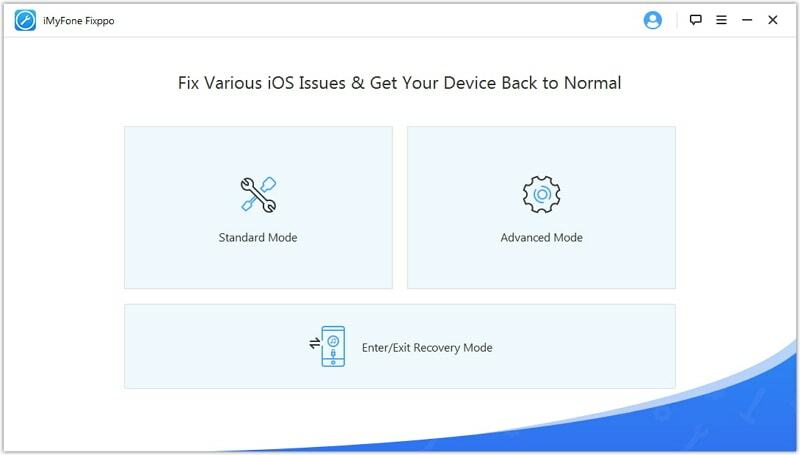 One of the best tools to help you do this is iMyFone iOS System recovery. Not only does it will try to fix your device back to normal, but all the data on your device will remain intact. 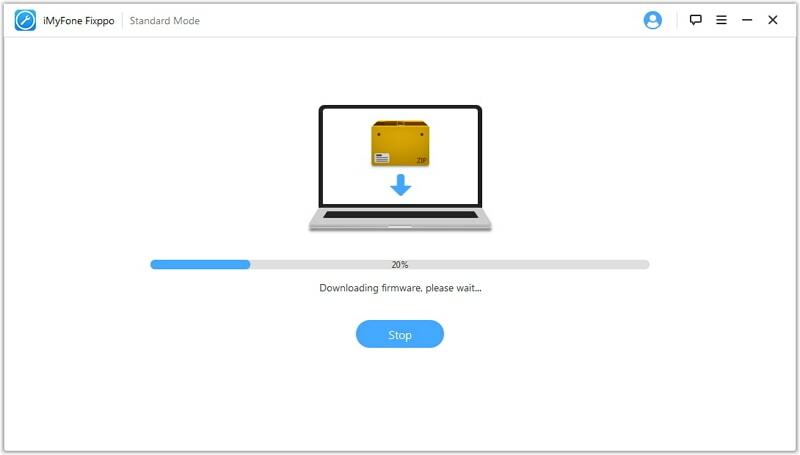 Download and install the program to your computer and then follow these simple steps to get it out of DFU mode safely and without data loss. Step 1: On the device’s main page, select “Fix iOS System” and then click “Start” to begin. Step 2: Connect the iPhone to the computer using USB cables and then wait for the program to detect it. Click “Start” to continue. Step 3: In many cases, you may need to download and install the latest firmware to fix the device. 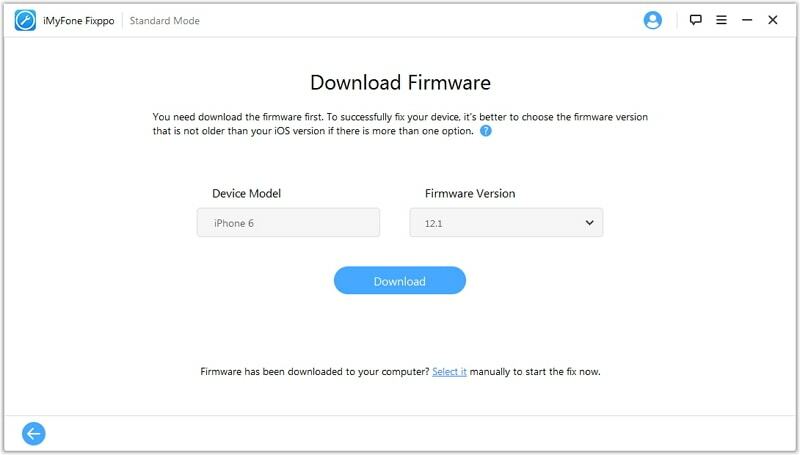 the program already detects the necessary firmware for your device, click “Download” and wait for the download process to be completed. Step 4: Once the firmware has been downloaded, iMyFone D-back will begin fixing the device. Wait for the process to be complete and the device will restart in normal mode. Just like that your iPhone will be out of DFU mode and working normally again. All the data on the device will remain in place.